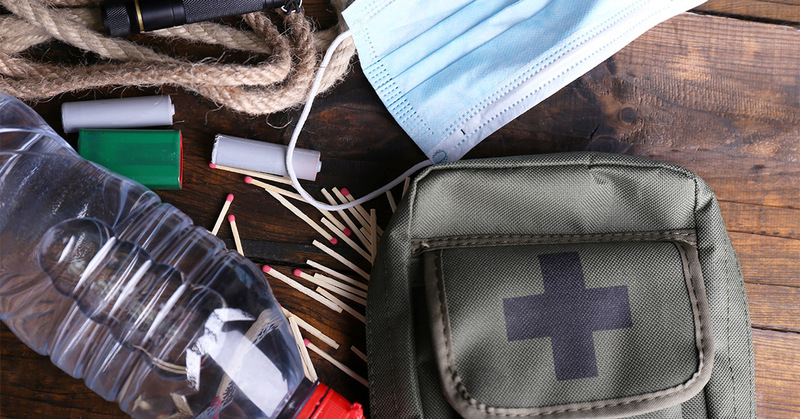 As an emergency manager, your task is to get everyone safely through an incident, do your best to contain damage, and most importantly respond appropriately and quickly to everyone in need. Your job remains just as complicated in the immediate aftermath. What happens once the worst of it is over? It’s hard to see through the dust even as it’s settling. Is everyone accounted for? Where are they? How do you go about locating them and reuniting them with colleagues and family? Reunification can be a tricky process. 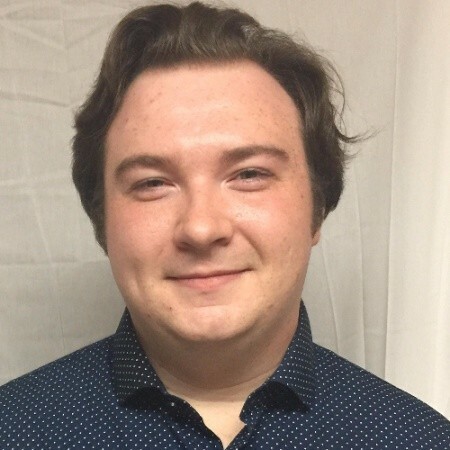 Eric Hodges, MA, CEM, MEP, and Ryan Friel at Illinois State University have developed a solution that promises to get everyone accounted for as quickly and accurately as possible. The following is a summary of the webinar they run covering their reunification procedures, presented on September 26th, 2018. 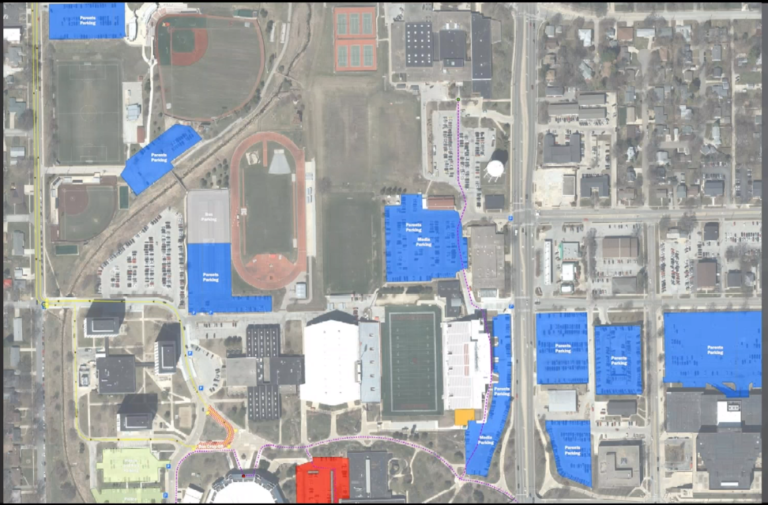 The ISU campus with an overlay of key locations during the reunification exercise. Illinois State University (ISU), located in Normal, Illinois, is a campus that includes not only the university’s students, but also high school and grade school students, and all their faculty and staff members. Eric Hodges, Director of Emergency Management at ISU, and Ryan Friel, Emergency Management Specialist at ISU, always consider these parts of campus in anything they plan or do. In April 2018, Hodges and Friel organized a reunification exercise on campus. As the emergency management leaders on campus, they needed to be prepared for the entire spectrum of possible incidents, including the kind that force mass evacuations from Pre-K-12 schools in the area, including those beyond the official campus borders. 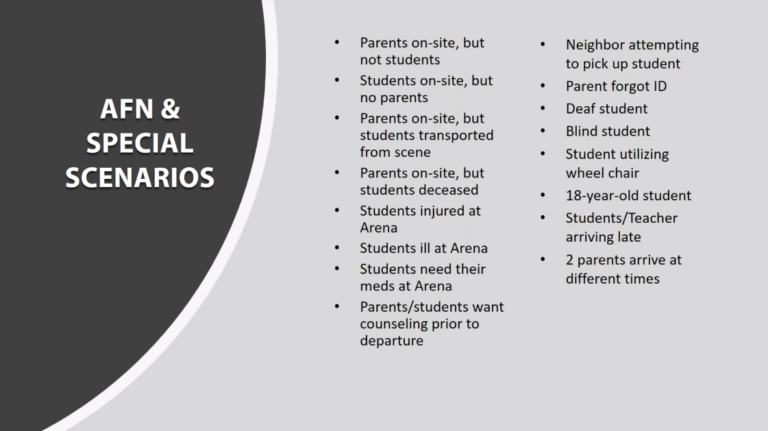 In the event of an incident, Redbird Arena would serve more than the high and grade schools near or on campus. Depending on the incident, between 12-15 schools in the area might rely on the sports complex as a reunification point. Hodges and Friel aren’t the only ones involved in a reunification effort; ISU Emergency Management needs to fill between 25-30 roles to guarantee a smooth operation, plus student and parent volunteers. Given how intense a real event could be, exercises provide great benefits, especially in making sure the right people fill those roles, and that they are communicating with each other according to plan. ISU's Redbird Arena during the reunification drill. The exercise mimicked what would happen during and after a real evacuation. 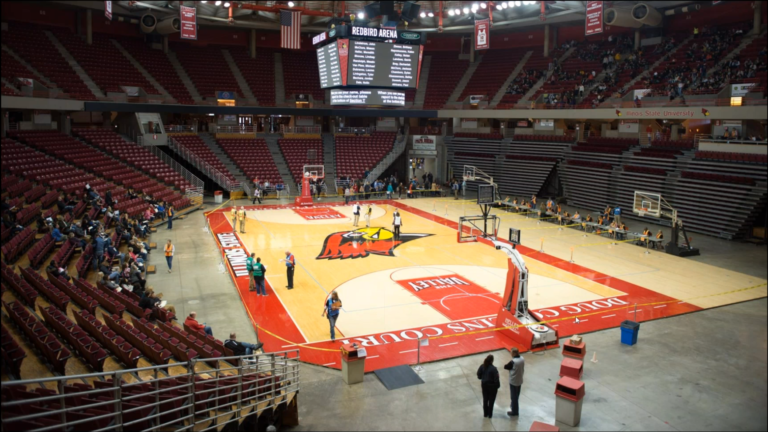 After making their way to the arena, all students walked inside and filled the upper bowl seats at Redbird Arena. Teachers then took attendance, and gave the list to drill staff. Parents then arrived at the arena. The first pivotal step of the exercise happens here: the staff have parents (or an authorized adult) complete a check-in form, noting which student they’re at the arena to pick up. When a parent finishes the form, it is handed off to dedicated Veoci operators, who match the name with an existing Veoci form containing the student’s information. If no entry exists, the operators quickly generate one for that student. To make this process as streamlined as possible, the ISU Emergency Management Team utilized the jumbotron in Redbird Arena to display the names of students whose parents had arrived for them. When a student sees their name, they head to the lower floor to reunite with their parent. Because Veoci is a cloud-based solution, any internet-connected device can access it. In Redbird Arena, ISU staff entered parent and student information from the check-in desk into Veoci; that information was instantly viewable up in the Audio Visual (AV) room, where the AV team, looking at the same Veoci dashboard, transposed the names from the check-in desk to the jumbotron. After being checked out, a student’s name is be removed from the jumbotron and another name is displayed. This is repeated for every student. 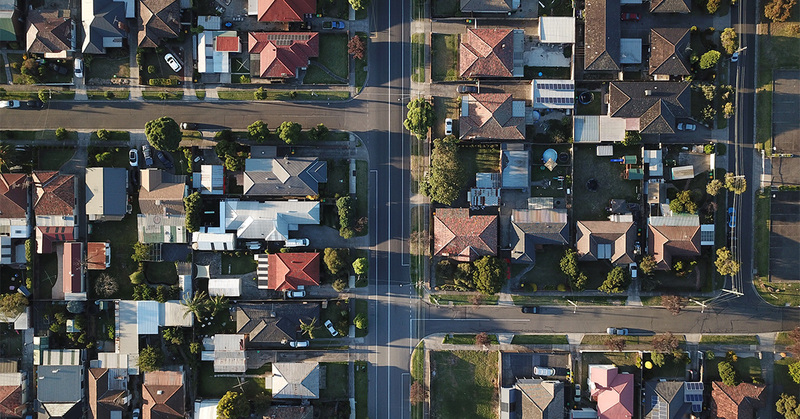 Based on the results, Hodges and Friel performed analysis to see how well their reunification plan would scale up, what pace is ideal, and what parts of the workflow require improvement. 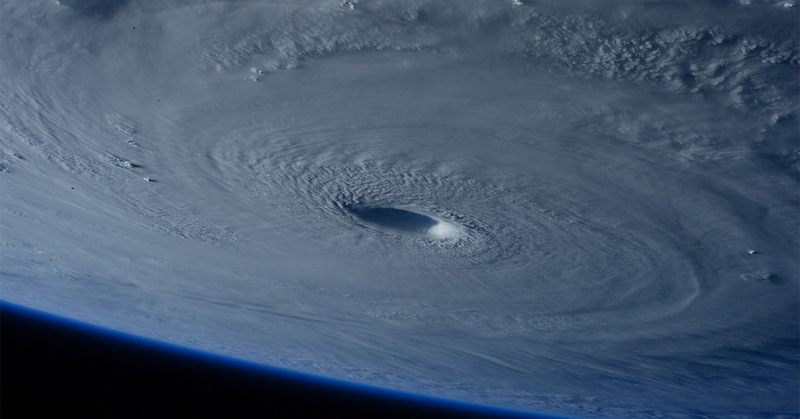 Ideally, a real evacuation and reunification scenario should hold no significant surprises - the exercise’s purpose is to test the tools, stress test the process, and try to surface any points of uncertainty. The special cases used by the emergency management team to produce the most realistic reunification simulation during the exercise. Veoci played a critical role in the reunification drill, and it contributed to the exercise’s smooth pace and fluidity. Paper was still deployed for this operation, but only minimally, and only when absolutely necessary. For instance, it was more expedient for staff to gather information on paper from parents, then deliver it to Veoci operators for rapid entry into the Veoci Parent Check-In Form. The Parent Check-In Form is actually the first step in a four-step workflow, and it kickstarts a tracking process from check-in to reunification. While Veoci operators are checking in parents, staff in the reunification command center are simultaneously entering student attendance as well. The next step brings the student’s information to a dashboard available to the team in the AV room. Dashboards refresh and update consistently; by using one, the ISU team was able to build a custom dashboard for the AV team supplying the names that needed to be displayed. By creating this dashboard, Hodges and Friel can keep the AV team up to pace despite their separation from the rest of the exercise staff. When parents complete the check-out form, a familiar process occurs. Dedicated Veoci operators receive the paper forms, complete the digital equivalent, and send it to the next step. The last step brings the student workflow to another dashboard designed for the AV team. When the AV team sees a name appear in this dashboard, they edit this last step to mark the closing of an individual student’s reunification workflow, indicating they’ve been accounted for and sent home safely. The ISU Emergency Management Team recognized how valuable Veoci was for their reunification exercise. Being able to process large amounts of data quickly, and have that data visible to all the right roles immediately, meant that the entire team had total situational awareness. Missing students, delayed parents, casualty information - all of these points of data make up the big picture of the reunification exercise; having it properly organized and digestible is key to ensuring that the right people have the right information and know what to do with it, at any given time. The Veoci dashboards that Hodges and Friel employed may look like a relatively small piece of the reunification operation, but they make a significant impact. And beyond the arena, school administrators have their own special dashboard where they can observe the reunification process as it happens. So it’s not just the ISU staff processing information, it’s the entire community getting the appropriate view of that information. These drills and exercisesare part of a large effort to make sure the entire campus is prepared for any event. Eric Hodges, Ryan Friel, and the rest of the team at ISU are planning more exercises like this for the future. People’s safety is the top concern during any incident, and preparation plays a large role in establishing it. 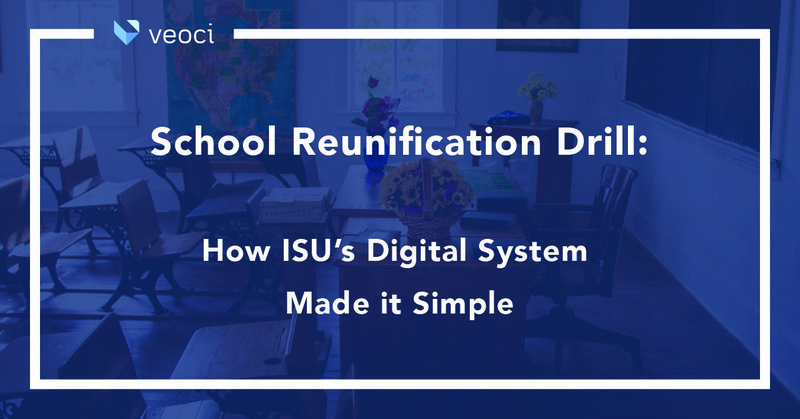 More details, including a Q&A, can be had by watching the ISU Reunification webinar recording. If you’re interested in seeing the recording, please contact Julie at julie@veoci.com. Running drills is just one of Veoci's many use cases. Learn more about the difference our solutions make at universities and colleges across the country. Veoci provides solutions across several industries. The solution your organization needs is here.